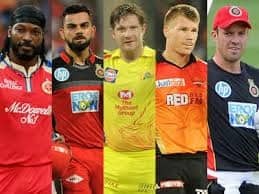 Leander Paes is an Indian professional tennis player who has won eight doubles and ten mixed doubles Grand Slam and he is the oldest man to have won a Grand Slam. He also holds a career Grand Slam in mens double and has achieved the raremens mixed doubles at the 1999 Wimbledon tournament. His mixed doubles Wimbledon title in 2010 made him the second man after Rod Laver to win Wimbledon titles in three decades. 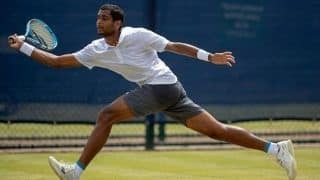 He has represented India in consecutive Olympic appearances from 1992 to 2016 and he is the only Indian as well as the only tennis player to compete at seven Olympic Games. He is a former team captain of Davis cup and holds the record for most Davis cups doubles wins with 42 victories. 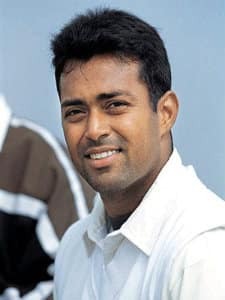 He is the sports ambassador of Haryana state.Born on 17th June 1973 in Calcutta, India his parents are Vece Paes and Jennifer Paes. 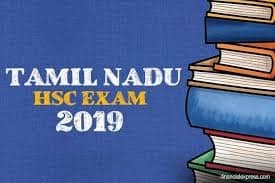 Leander did his schooling from La Martiniere Calcutta and then he completed his further studies from St. Xaviers college belonging to the University of Calcutta. 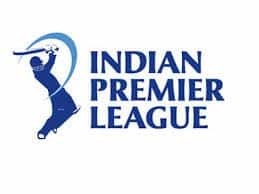 His parents were both sportsperson, his father was a midfielder in the Indian hockey team and was also a part of 1972 bronze medal winning team in Munich Olympics. His mother played basketball and was the captain of Indian basketball team in the 1980 Asian basketball championship. 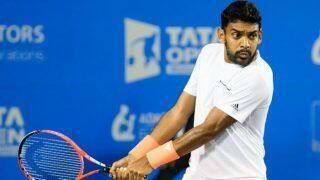 Paes was coached by Dave OMera in the Britannia Amritraj Tennis Academy from Chennai in 1985. The academy played an important role in his career and he won the 1990 Wimbledon junior title and earned the no. 1 title in Junior world rankings. 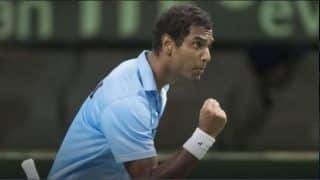 After winning the junior title in 1990, Paes reached in quarter finals of the 1992 Barcelona Olympics. In the 1996 Atlanta Olympics, he won bronze medal defeating Fernando Meligeni and became the first Indian to win an individual medal after four decades. 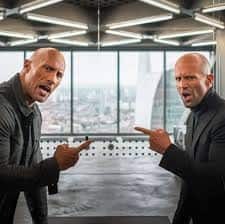 In 1993 in the ATP circuit, he partnered with Sebastien Lareau and reached the US Open doubles semifinal and in 1994 he reached the quarter finals of the 1995Australian open doubles with Kevin Ullyett. In 1996 he partnered with Mahesh Bhupati and in 1997 they reached the semifinals of US Open. 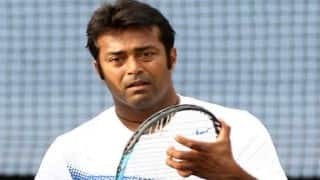 Paes climbed the double ranking from 89 to 14 at the end of year and in the same year he also made his best singles performance in Grand Slam and reached the third round of 1997 US Open. 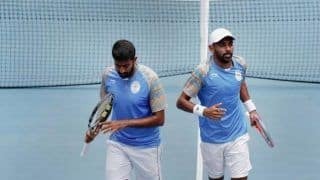 In 1998, the doubles team of Bhupati and Paes reached the semifinals of three Grand slams, Australian Open, French Open and US Open and in 1999 the duo reached the finals of all the four Grand Slams and also won the Wimbledon and French Open becoming the first Indian pair to win the Grand Slam. 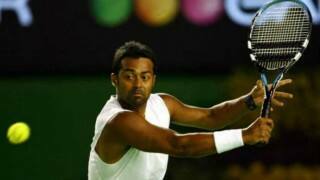 Paes was given the honour of carrying the Indian flag in the Sydney Olympic . In 2002 Asian games in Busan, Paes and Bhupatis duo won the gold medal . 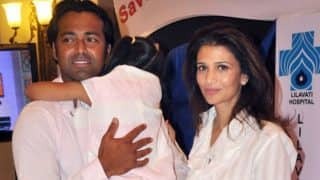 FROM 2003, Paes started to focus on doubles and mixed doubles game and won the mixed doubles in Australian Open and Wimbledon with Martina Navratilova. In the 2004 Athens Olympic games his duo with Bhupati and reached the semi finals. 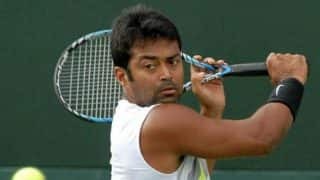 Paes then led Indian tennis team at the Doha Asian Games and won two golds, one in mens double partnering with Bhupathi and mixed doubles with Sania Mirza and he maintained his double ranking in top 20 from 2005-07.in 2008 he won the US Open mixed doubles title with Cara Black and in 2009 he won the French Open and US Open doubles title with Lukas Dlouhy and also was the runner up in mixed doubles at the US Open. In 2010 he again won the Australian Open mixed doubles with Cara Black making the pairs third consecutive Grand Slam final and his fourth overall. 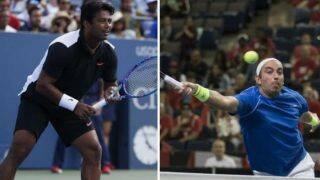 Paes won the 2013 US Open mens double with RadekStepanek and won his 3rd US Open Mens doubles title and 14th Grand Slam title. He later in 2014 won the Malaysian Open mens double with Marcin Matkowski. 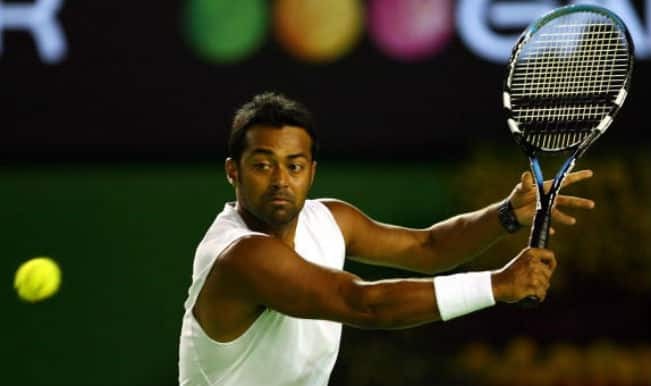 In 2015, Paes captured his seventh Grand Slam mixed doubles at the Australian Open with Martina Hingis and also won the Wimbledon Open in 2015 and after this win, he shares the record for most such titles won in the gentlemens section in the open era with Owen Davidson. 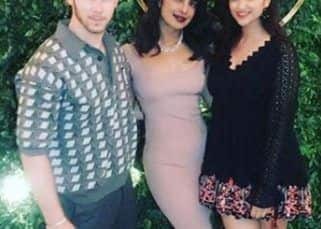 In June 2016, he completed his Career Grand Slam in mixed doubles tennis by winning the 2016 French Open with Martina Hingis. 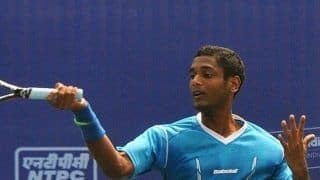 He also qualified for the 2016 Summer Olympics in Mens double with Rohan Bopanna but the duo didnt perform well in the Olympics.Paes had a live-in relationship with Rhea Pillai in 2005 and the couple has a daughter Aiyana, however she has filed a case of domestic violence against him in June 2014. 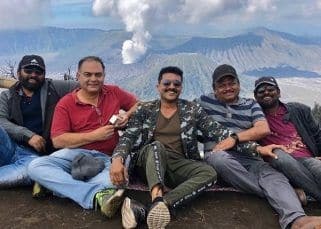 In 2010, he joined Board of Directors of Olympic Gold Quest a foundation co-founded by Geet Sethi and Prakash Padukone to supported talented athletes from India in winning Olympic medals. 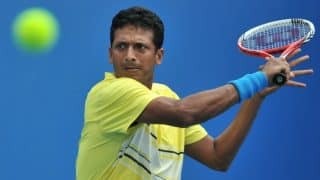 He is one of the most successful professional tennis players in India and has received the Rajiv Gandhi Khel Ratna award, Indias highest sporting honour in 1996-97 and the Arjuna Award in 1990; Padma Shri award in 2001 and Padma Bhushan the 3rd highest civilian award in January 2014 for his outstanding performance and contribution to Tennis in India. Apart from Tennis, Paes has also made his film debut in Ashok KohlisRajdhani Express, a socio-political thriller. He has also been offered his first Hollywood script.